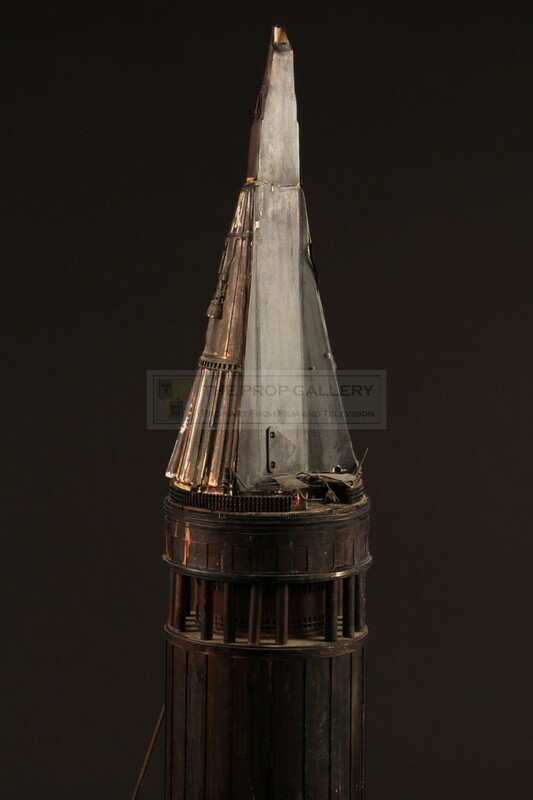 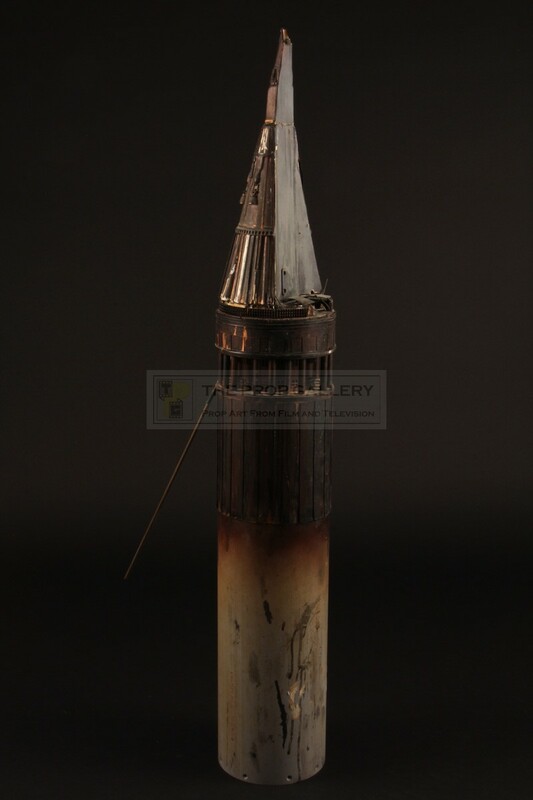 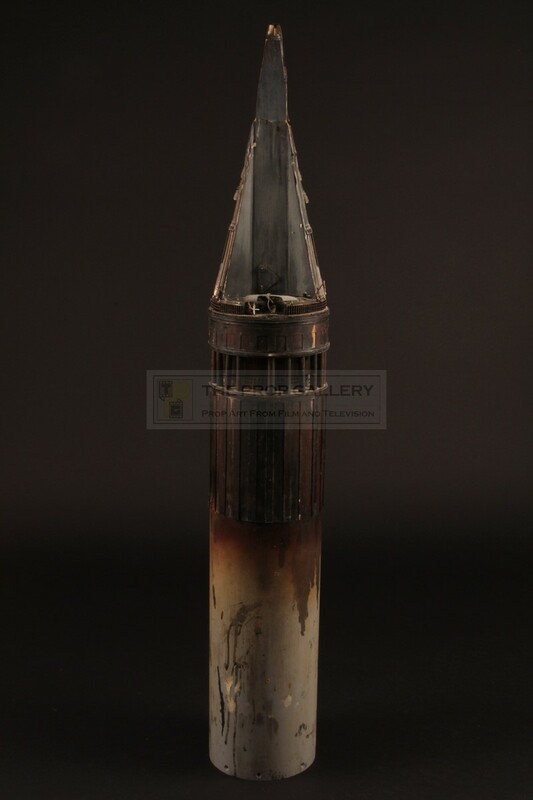 An original miniature used in the production of the long running BBC science fiction television series Doctor Who. 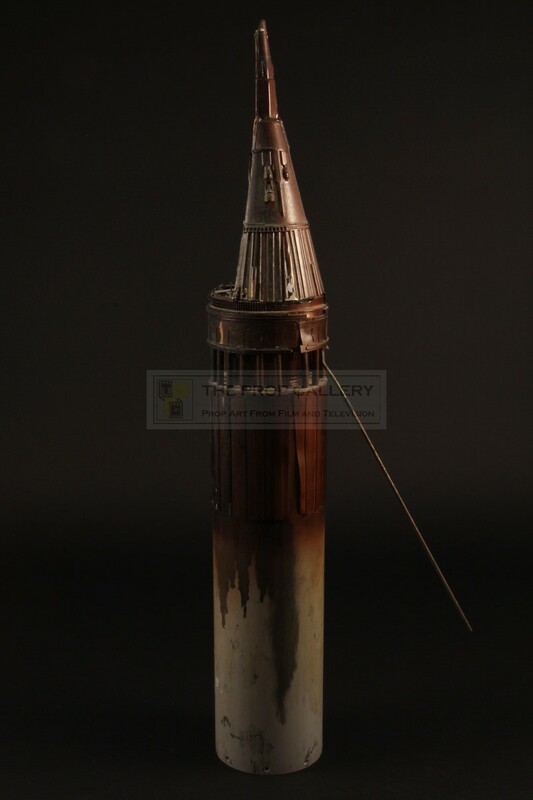 From the 1980 serial State of Decay starring Tom Baker as The Doctor this is the original Hydrax filming miniature used on screen for the insert shot of the scout ship launching. 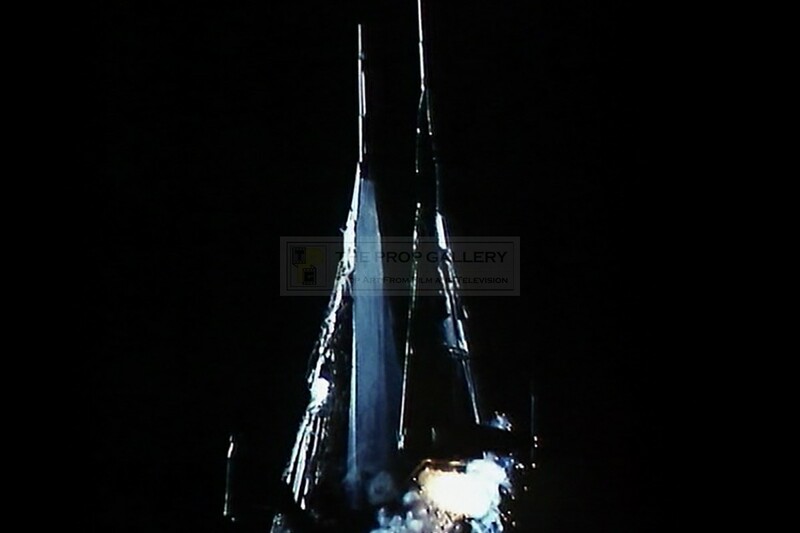 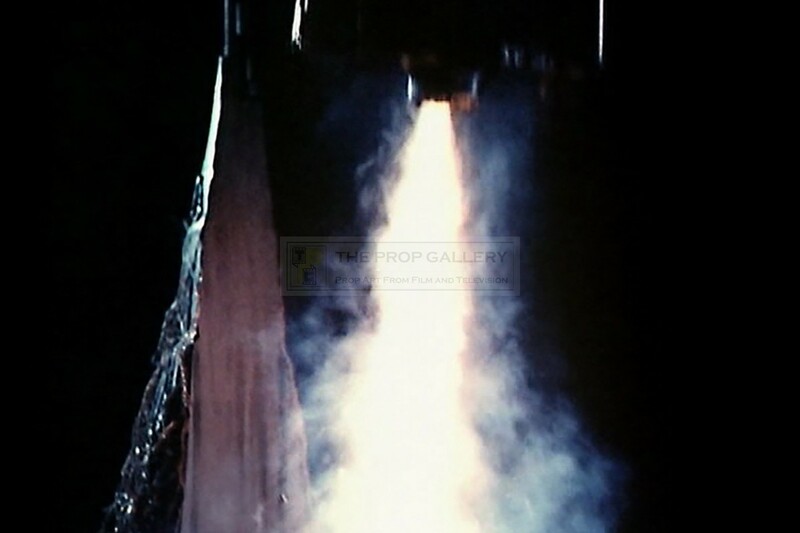 The miniature was built by the BBC Visual Effects Department under designer Tony Harding and is constructed from plastic pipe dressed with vacuum formed sections to the upper half and top with a weathered paint finish, a rod running through the centre of the miniature connects to a plate which was used to facilitate the lift off of the scout ship on screen. 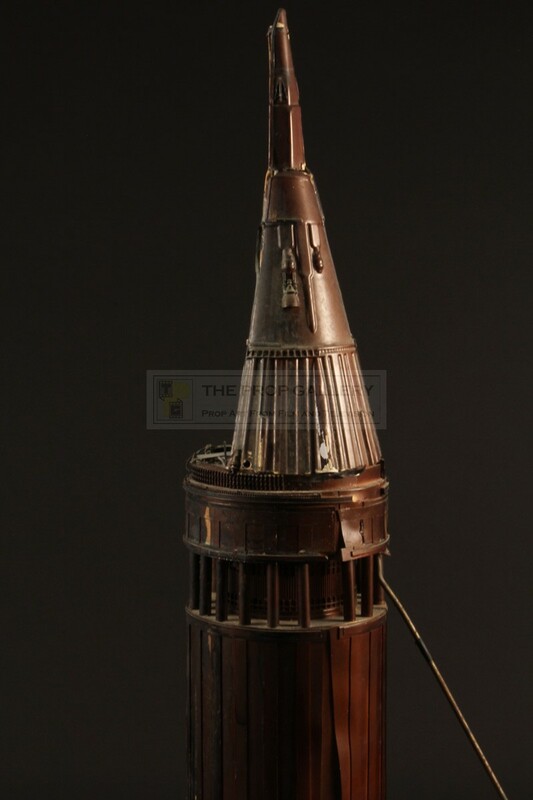 The unique miniature measures approximately 6" in diameter and stands an impressive 41" high, it remains in good screen used condition exhibiting some paint wear and missing some minor parts. 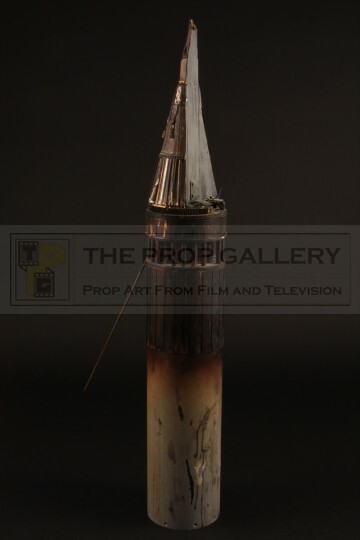 An extremely rare example of an original filming miniature from the Tom Baker era of the classic science fiction series.